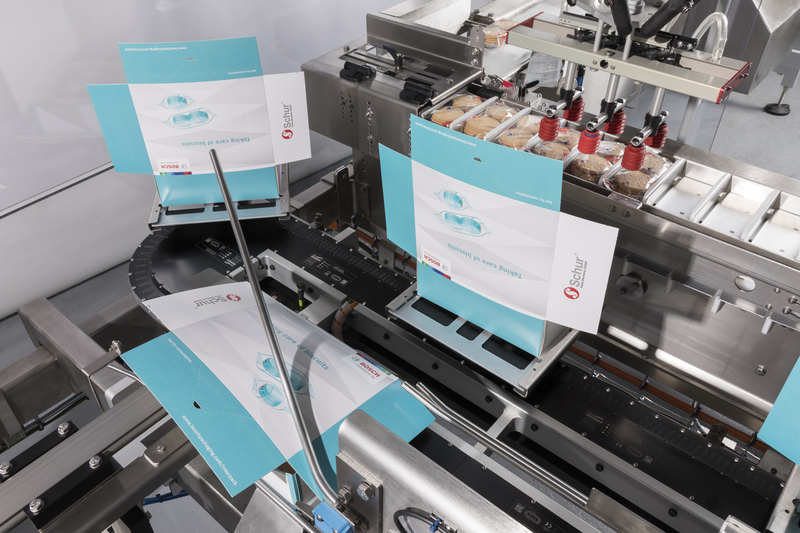 High speed, high volume and low maintenance were the performance demands placed on linear motion expert HepcoMotion for a challenging packaging application for Bosch Packaging Technology Company in partnership with recently acquired Kliklok Corporation. The Kliklok Integrated Topload Cartoner (ITC) forms top load style cartons or trays and automatically loads wrapped products into them before closing. 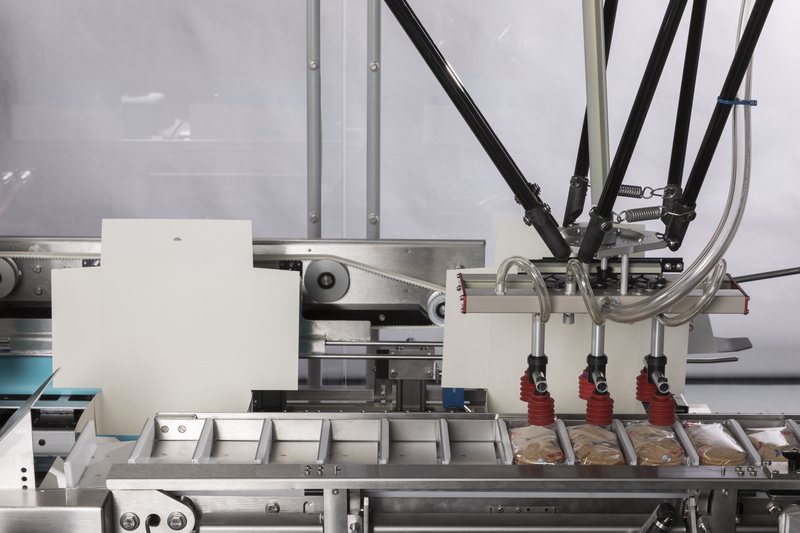 Ideal for producers of confectionery, cereal bars, bakery products and cookies, the ITC is comprised of a single integrated solution with three functions; carton forming, loading and closing – using one operator and one HMI. With an ergonomic design, the machine helps to reduce customer footprint, negating the need to source, interlink and integrate three separate pieces of equipment. Boasting the highest speeds available for a solution with such a small footprint, the ITC allows manufacturers to save production space and increase product output. Central to this new machine is the intelligent transport system that is used to control and move the cartons from forming, right through to the finished pack. For this core role, the GFX HepcoMotion Guidance System for Beckhoff XTS eXtended Transport System is used. Linear motion expert HepcoMotion has worked with Beckhoff to develop specialised versions of the PRT2 and 1-Trak guidance systems to work with the Beckhoff XTS. This option meets the needs of higher duty XTS applications where motion profiles and long term durability requirements are particularly demanding. 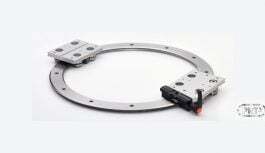 The Beckhoff XTS uses linear motor technology to drive independently controlled movers around a track. This is particularly useful in this application as it allows dwell at the operation stations. An individual mover can therefore be controlled and stopped at an operation station irrespective of the other movers. 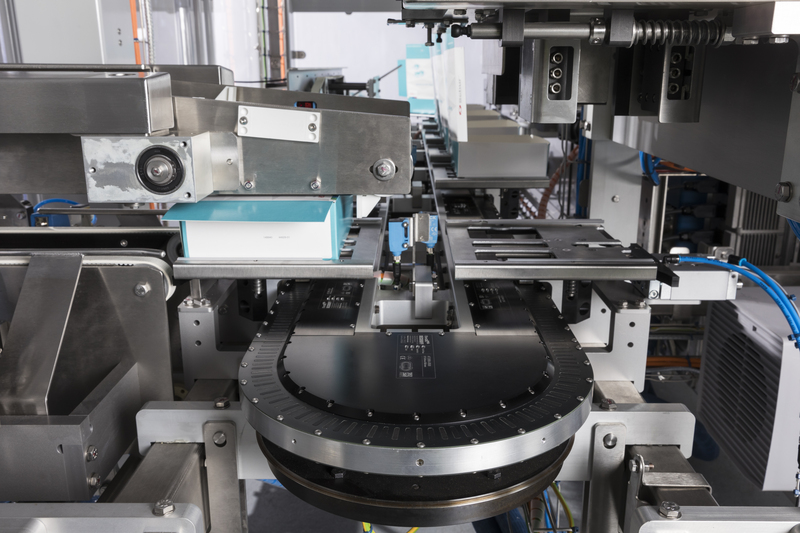 As each operation takes a different amount of time, this is an advantage for the Kliklok ITC as throughput is not limited by the slowest process. 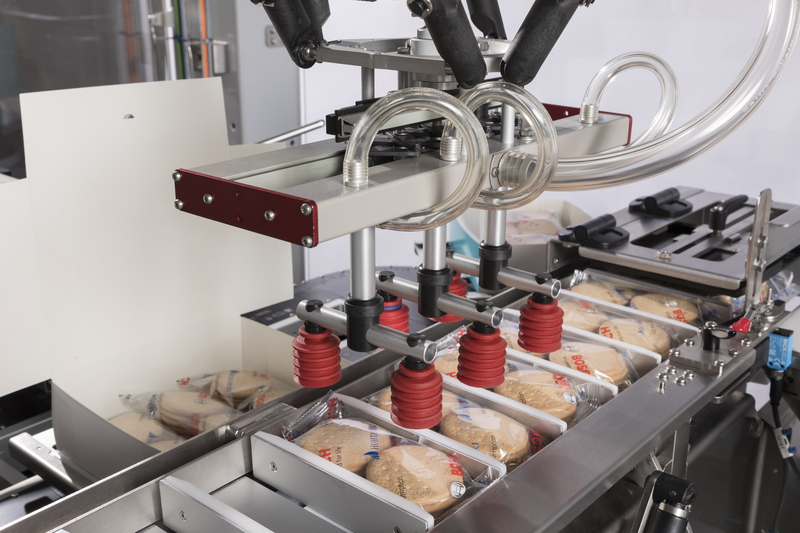 The positional accuracy provided by the Beckhoff XTS is important for placing the food items into the cartons. The motion of each mover is independently controlled, offering complex high-speed motion profiles without compromising positional accuracy. In this application, the Beckhoff XTS system integrates Hepco’s patented 1-Trak guidance system. Lightweight three bearing movers follow a track comprising straight and circular arc sections and a clothoid curved transition. This shape gives a gentler motion for the movers and allows the machine to run faster and more smoothly than would be possible for a “running track” oval shape. These 1-Trak systems provide rigidity and the highest level of accuracy and precision which is needed to allow the Beckhoff XTS to perform at its best. The system rigidity offered by Hepco’s GFX track system is a core benefit for Kliklok – particularly for the carton forming module. Cartons are formed with a single servo-controlled plunger pushing directly onto the independently controlled movers. Inevitably a load is applied to the mover at this point, as well as during the closing operation and the robotic loading module. Hepco’s GFX hardened steel guidance systems is based on Hepco’s proven and precise V guide technology, which rigidly guides the movers around the track. This ensures accurate alignment and resistance to deflection to avoid inconsistent carton forming. In a high-duty, high-speed application such as this it is critical that the cartons all look the same; inconsistent cartons may result in failures, which in turn reduces machine output and increases cost. The system rigidity also assures long-term durability as GFX can cope with loads and forces that would wear other components. 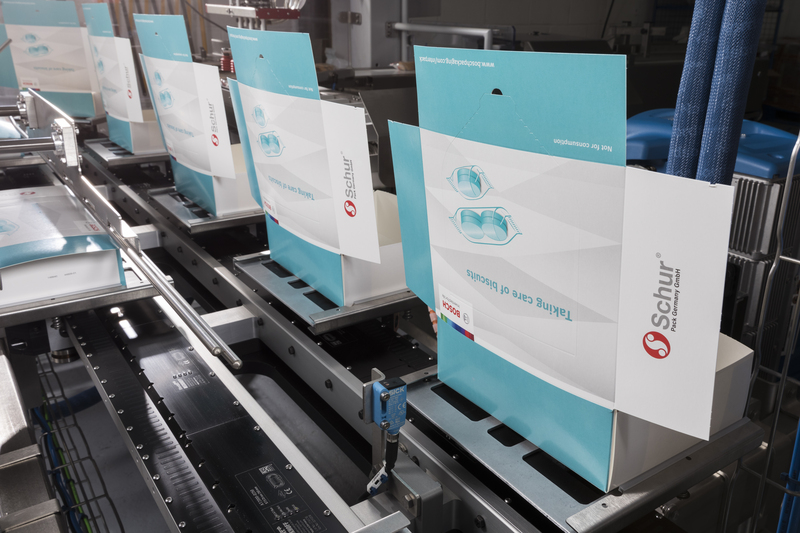 The packaging industry is notoriously demanding and highly competitive, requiring high-quality parts in order to keep machines running smoothly day after day. Packaging applications need to stay on schedule and produce high product throughput with utmost reliability in order to be profitable. The Hepco GFX system uses components from the tried and tested Hepco PRT2 system which routinely function in high speed, high duty applications with little more attention than lubrication and occasional cleaning. Downtime costs are therefore reduced and productivity is maximised. Flexibility is also a key factor in the transport system used in this application. The ITC has been designed to package flow-wrapped products, such as snack cakes, cereal bars, candy bars, and snack crackers; roll-wrapped products, such as cookies and crackers and die-fold products, such as premium chocolate bars. The ITC has a large carton range, and the transport system needs to be able to accommodate different sizes quickly and efficiently. The movers on this transport system can easily be programmed to move closer together or further apart to suit the different sized cartons. Conveniently this can all be done without having to re-configure the system, saving production time and thereby increasing product throughput. With speeds of 2.5m/s, up to 80 cartons per minute can be formed, loaded and closed on the ITC. The system uses a 6m long GFX circuit with 10 x three-bearing, size 34 1-Trak movers. Food grade grease is released though Hepco’s integrated bleed lubrication facility which channels lubricant directly to the V faces of the straight slide for effective lubrication of the track system. Hepco’s DLS4 belt driven linear actuator is also specified in this application. A 700mm long beam, fitted with a long carriage and a tailored motor connect kit to suit the customers motor, provides the vertical plunger mechanism to form the cartons. DLS4 can work at high speeds, with high acceleration and a high operating duty, making it ideally suited to this application. The combination of Beckhoff’s XTS and Hepco’s GFX guidance system has enabled Bosch to develop a revolutionary product, boasting one of the highest speeds available for a solution with such a small footprint. Hepco’s GFX guidance for Beckhoff XTS is a highly versatile product that is rapidly being adopted in the packaging industry for applications such as this, where users are looking to benefit from vastly improved production rates with the ability to make on the fly product changes.